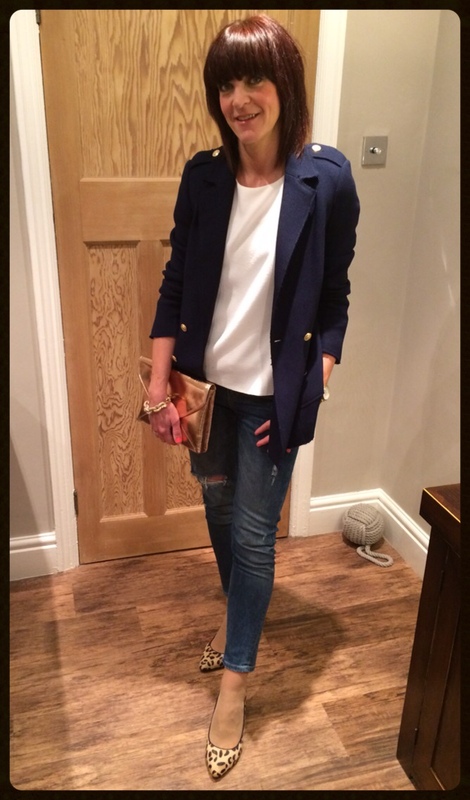 Date Night & OOTD - And It May Involve A New Jacket!!! Well all good plans & all that!!!! Today I was supposed to be off out bright & early for a fun filled day with my mum as part of her Mother's Day celebrations. With a full make over at Bobbi Brown booked for my mum & then a spot of shopping followed by a leisurely lunch with bubbles (naturally ;-) ) a little bit more shopping (to burn the calories off from lunch you understand!!) followed by afternoon tea. But unfortunately I instead woke up to a text saying she'd been feeling unwell during the night & despite her best efforts to feel better she wasn't going to make this morning :-( So she's currently sleeping in the hope that when she wakes she feels bright enough to cram our day out together into a few precious hours this afternoon. I know once she's feeling better she's going to be so cross that she wasn't well enough for today but as I said to her earlier there's always another time & I'd rather she got herself right so that we can enjoy the day fully. After all I can't think of anything worse than being out & about if you're not feeling well. So instead hubby has got the pleasure of my company, which means his birthday celebrations continue & we're off out for a spot of lunch, so here's what I've decided to wear. And to steal my style. And quickly here's what I wore to celebrate hubby's meal last night....a lovely meal & couple of hours spent with my favourite two people ever...hubby & son...perfection! Hope the sun is shining with you & that whatever you're up to you're having a great day. See you in the morning after breakfast in bed......well I can hope!!! Thanks Donna, unfortunately mum got worse so we didn't make this afternoon but fingers crossed for tomorrow. BAG ENVY! Gorgeous day and night looks! Thanks Sharron, you too. Hope you have a lovely Mother's Day. Thanks Helen, hoping she feels better for tomorrow & we have re-arranged today so we've still got that to look forward to. Thanks Helen & I'm totally blaming Sue for the Tesco tops. I'd seen them but hubby had talked me out of them then as soon as I saw Sue raving about them I knew they needed purchasing & they are fab aren't they! Sian it was only ever going to feel quite at home in my wardrobe wasn't it!!! Hope you're loving your bag as much as I am. Thanks Annmarie....hope you're having a lovely weekend. Such a gorgeous blazer. Nothing beats a fab blazer. I love the Boden bag- I ordered it a couple of weeks ago and can't wait to receive it any day now! 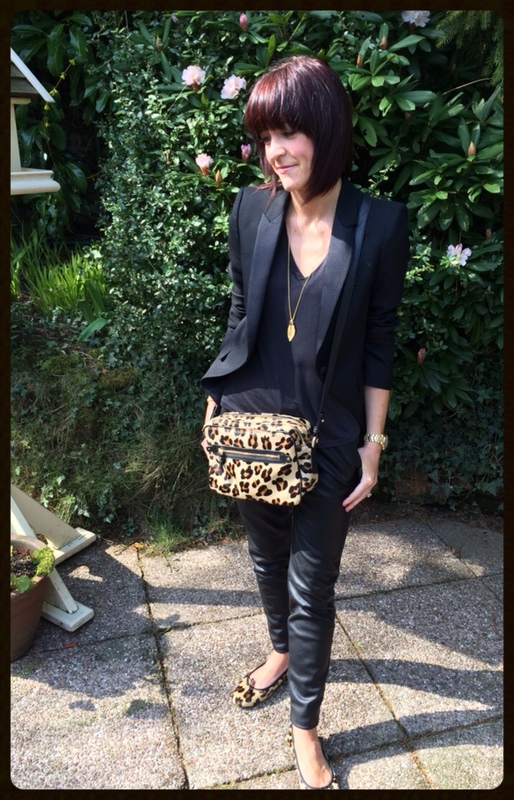 Too true Celina you can't go wrong with a fab blazer & I love the looser style of this one. Hope you like your bag when you receive it, it really is a beaut! Love that blazer- you looking super polished as always Jane. Can't wait until I fit into my shell tops, I've 3 of them taunting me from the wardrobe! Trea the shell tops are amazing.....I just wish they did more colours as I'd snap them up & it won't be long before you're wearing yours. I just hope you're finding time to put your feet up while you wait for your exciting new arrival! Thanks Michelle, you to, hope you have a lovely day. Thanks Andrea....we've re-scheduled for this Saturday so fingers crossed!! !